VOLVO GROUP – HOLISTIC/ALTERNATIVE WELL BEING EVENT! 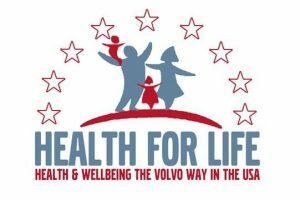 Volvo Trucks NA is excited to announce our first health fair event of 2019! We understand the incredible value holistic and alternative health practitioners can bring to the well-being of our population. This Feb event will focus in on these resources that are available in and around the Triad area. Our employees drive in from communities all around the Triad so we’ll be selecting multiple vendors under any given category and we will be most interested in those with interactive offerings at their table. (games, models/visuals to touch/feel, screenings or assessments, use of video or activity, product/service sampling etc.) The focus of this health fair is ALL about alternatives to medical practices for healing, disease management and prevention of disease/pain/injury. Interest in mindfulness based or meditative approaches as well. Normally Volvo has one annual very large health fair in the fall. In 2019 we plan to offer multiple, topic focused health fairs throughout the year. The goal being bi-monthly events. Some of you may be appropriate for more than one topic focus so please be on the look out for future announcements. If you are a holistic or alternative/holistic health and wellness provider, or you have an approach to disease/prevention/pain/mental wellness, we invite you to submit your request to participate in our February event and help us be proactive in keeping our employees healthy, the natural way! !